It’s easy to feel overwhelmed when you enter a casino for the first time. Along with the invariable bustle and noise, rookie gamblers have to try and grasp the confusingly rapid gameplay, all while trying not to look too ignorant or nervous. 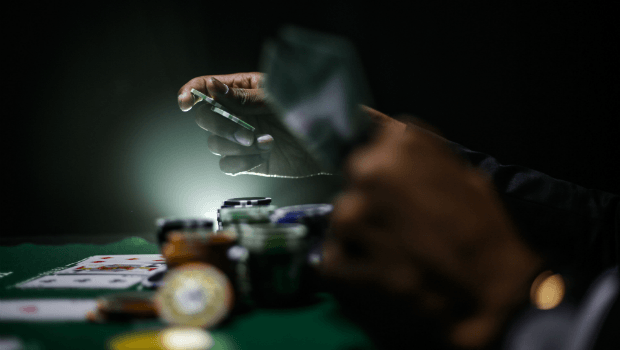 One of the most appealing aspects of casinos is that even with modern digital games and high-tech equipment, they have a timeless, sometimes old-fashioned vibe. This is one of the reasons the use of smartphones is frowned upon so thoroughly in many casinos. Moreover, staring at your phone while sitting at a gaming table is just plain rude and as such it won’t win you any friends. It’s also worth noting that some casinos are pretty heavy handed when it comes to phone use, stepping in swiftly to “encourage” people who can’t leave their devices alone to step outside instead. Many contemporary casinos also have super-thick walls which block phone signals entirely. If you’re bringing your phone to take pictures/video of your adventurous evening, then do yourself a favor and ask first. Though not as prohibited as it once was, this too can make casino security move quickly towards you in some establishments. Being a novice gambler can feel like being a new driver—every player has been there. Because of this, it's often the case that more seasoned players are happy to help newbies with some guidance. It’s important to point out, however, that this goodwill is pretty limited. Experienced gamblers visit casinos to play and win, not to seek out protégés. Your best bet is to make an effort to learn the games you’re looking to play before you enter the casino. It’s easy to do these days as there are tons of guides available, as well as free demo games to play online. Take some time to watch the game you want to get in on being played out. This way you can see how people deal with nuanced interactions like handling money, asking for chips, and placing bets. It goes without saying that drinking and gambling go together. With this in mind, it’s easy to see why some people can get a little carried away and have a few too many at times, especially when a hot streak comes up. However, just because drinking is encouraged and very well facilitated at most casinos, it doesn’t mean you should knock back the free drinks and celebratory shots like they’re going out of style. Become “that person” and three things will happen: you’ll play badly, you’ll annoy people, and you’ll get kicked out. In short, keep a lid on it. Everyone has their own view on tipping and it’s worth noting that offering a tip in a casino is by no means mandatory (though some staff members may try and convince you otherwise!). That being said, leaving a tip shows a degree of courtesy that just helps to make the whole casino experience feel more positive. After all, many of the dealers and waiting staff will be earning minimum wage, and most of them are on their feet for hours on end. Giving them a few bucks when you hit a good run and/or leave the table won’t dent your wallet but it will make those individuals feel appreciated. It’s a no brainer, really.